The summer is here and along with it come the blistering heat and the harsh sunshine. The skin turns sweaty and oily during this season and controlling the shine on the face becomes a never ending job. It is also the season that causes maximum damage to the skin by causing sunburn, tanning and blemishes. The UVA and UVB rays of the sun are known to cause skin cancer and skin darkening respectively. You cannot avoid the sun altogether, so the next best thing to do is to use a sunscreen or a sunblock that is better than what you use during winter. Here is our guide to the best sunscreens for the summer to protect your skin from the sun’s rays and keep it healthy and glowing. A broad-spectrum sunscreen can help prevent the damage caused to the skin by both UVA and UVB rays. Normal sunscreens prevent only the tanning that is caused by UVB rays. SPF or sun protection factor determines how much protection you can get from UVB rays. The more the SPF, the better the UVB protection. If you use a sunscreen with lower SPF, you would need reapplication every 2-3 hours. PA Stands for Protection Grate of UVA and measures the amount of UVA protection the sunscreen gives. Sunscreens can have PA+, PA++ or PA+++ ratings depending on how effective they are. Now that you know of all the abbreviations used in sunscreens, lets see what the best sunscreens for the summer are. 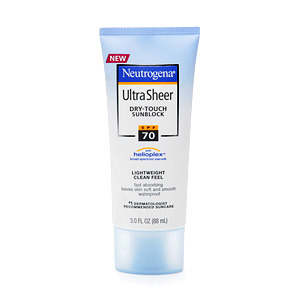 The Neutrogena Ultra Sheer Dry Touch Sunblock is dermatologist tested and suitable for all skin types. It is made with the helioplex technology to give broad spectrum protection. It has an SPF of 70 + and comes with PA+++ protection. It is ultra light and gets instantly absorbed in the skin. It is priced at Rs. 150 for 30 ml and is the best sunscreen for the summer to give you sun protection. The Lotus Herbals Safe Sun comes with SPF 40 and PA+++ protection. It has birch extract, mallow and hops which help in skin lightening. It is non-greasy. It gives you a matte and clean look while also giving you a broad spectrum sun protection. It is priced at Rs. 325 for 100 gm. The Lakme Sunscreen Sun Expert comes with SPF 30 and PA++ protection. It has cucumber and lemongrass extracts. The sunscreen not just gives sun protection but also helps in lightening the skin. It is priced at Rs. 325 for 100 ml. The Nivea Sun Moisturizing Immediate Sun Protection lotion is non-sticky and comes with SPF 30 and PA++. It helps in providing intense moisturization and prevents the skin from ageing due to sun damage. It protects immediately upon application. It is priced at Rs. 299 for 125 ml. The all natural Biotique Bio Aloe Vera sunscreen is made of aloe vera, sandalwood and sunflower extracts. It is a slightly oily sunscreen that is suitable for dry skin types. It protects you from UVA and UVB rays and also helps keep your skin looking younger and revitalized. It is priced at Rs. 180 for 210 ml. Kaya Sweat Proof Sunscreen is a broad spectrum sunscreen that has SPF 30+. It is water and sweat resistant. The sunscreen helps in giving you upto 8 hours of sun protection without a hint of oiliness in the face. It is priced at Rs. 980 for 60 ml. The L’Oreal UV perfect lotion comes with SPF 50 and PA+++. It provides the skin protection from UVA and UVB rays as also from other environmental aggressors. It is concentrated with antioxidants that prevent premature skin ageing. It is priced at Rs. 449 for 30 ml.